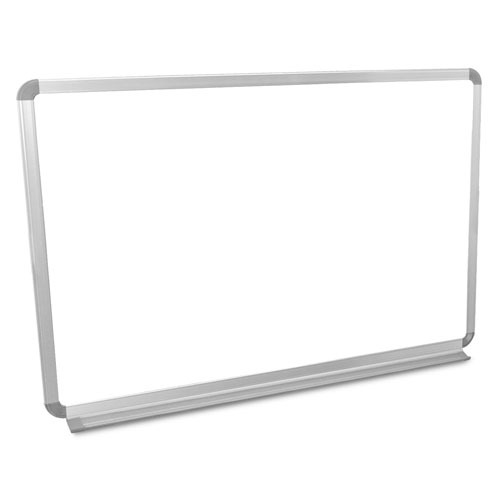 Model Select Size WB3624W - 36" x 24" WB4836W - 48" x 36" WB7240W - 72" x 40"
More than a surface for brainstorming, teaching and illustrating ideas, wall-mounted dry erase boards become a focal point of any room. That's why Luxor Wall-Mounted Magnetic Whiteboards offer superior performance in a modern style at an affordable price. The high-quality, ghosting-resistant painted steel surface provides bright visibility and high durability and can be used as a magnetic bulletin board. The slim aluminum frame and marker/eraser tray offer lightweight durability designed to last for use after use, year after year. WB3624W - 36" x 24"
WB4836W - 48" x 36"
WB7240W - 72" x 40"